Famous photograph taken by a CNN reporter in the 1990s of female genital mutilation being performed in Egypt by a ‘health barber’. Egypt’s Minister of Health Adel Adawy announced on Sunday that 92 percent of married Egyptian women have experienced female genital mutilation. The latest results were announced at a conference held to reveal the results of the 2014 Egypt Demographic and Health Survey (EDHS). According to the Minister, 92 percent of women aged between 15 and 49 who are or have been married suffer from genital mutilation. The majority of females undergo genital mutilation between the ages of nine and 12, with only 31 percent of the operations run by doctors, said the Minister of Health. The Minister of Health added that FGM in rural areas is as high as 95 percent, compared to up to 39.2 percent in urban cities. The 2014 EDHS further found that more than 50 percent of married women in Egypt favor female genital mutilation and is in accordance with religious teachings, while 30 percent believe it should be banned. FGM is normally carried out by traditional midwives and ‘health barbers’. Despite a large number of women surveyed believing that FGM is condoned by Islam, Egypt’s top Islamic authority has condemned the act as ‘un-Islamic’ and ‘barbaric’. Moreover, Egypt banned female genital mutilation in 2008. 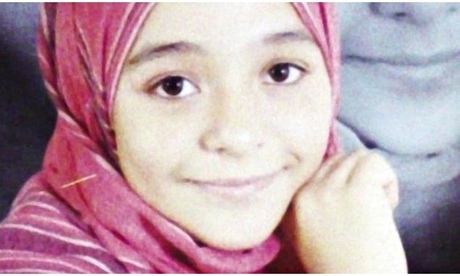 Article 242 of Egypt’s Penal Code criminalizes the circumcision of girls The punishment for performing FGM is a prison sentence ranging from three months to two years or a fine of 5,000 Egyptian pounds. The father of Sohair was also sentenced to three months in prison for FGM.